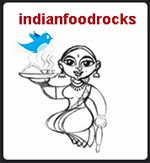 Indian Food Rocks: Happy 64th, India! IT gives me goose bumps all the time! Thank you for posting it. Happy independence day! Beautiful posting...Sure it gives goosebumps and brings tears..Thanks buddy..Lets keep the spirit of being an Indian alive ! I posted this same song a few years back too for I-day. Have you heard the musical version of this? It's simply beautiful.... always brings tears to my eyes.